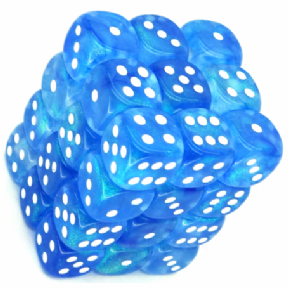 A sky blue and white Borealis D6 dice block by Chessex. Includes thirty six 12mm dice. 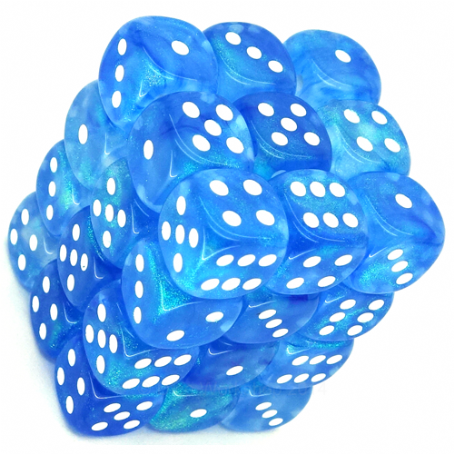 A sky blue and white Borealis D6 dice block by Chessex - a high quality dice manufacturer. Includes thirty six individual 6 sided dice (D6). These dice are of the smaller 12mm size normally used for boardgames and wargames where you need lots of dice!